The death of a loved family member is painful, especially if he is the breadwinner of the family; it can be even more traumatic, which can cause an emotional and financial turmoil in the family. To make sure your family does not suffer any financial hardships in your absence, you must have a term insurance plan. Term insurance provides financial support to your family in case of your untimely death. Term insurance covers the risk of an untimely death of the insured during the policy term. A term plan offers a life cover to the insured at the lowest premium. Why is Term Insurance Plan Necessary? Life is too unpredictable and uncertainties can rip you off emotionally, financially and physically too. This is because no one has control over one's death, neither, can anyone predict it. Death of the breadwinner of the family can cause disastrous turbulence in the family member's life. To find solutions for these problems, term insurance plays a vital role in your life. Moreover, term plans are an excellent way to build a financial safety net and are the simplest and most affordable type of term life insurance. It will help your family to settle your loans and pay-off certain requirements in your absence. The death benefits are paid to the beneficiary or the nominee only upon the insured's death. Therefore, in simple words, the death benefits are zero if the insured dies after the policy is expired. Standard term insurance is the most simple and straightforward term plan. The life assured pays the premium as per the mode decided at the time of policy purchase. The premium payment frequency can be annual, half-yearly, quarterly or monthly. The premium amount and life coverage (sum assured) are fixed at the time of selection and purchase. The policy period can be anywhere between 5 to 40 years as per the current age and the maturity period opted. Note: In case, the life assured passes away during the policy period, the insurance company pays the sum assured to the nominee as per the payout opted by the policyholder. There is only death benefit under the standard term plan. There is no maturity benefit or survival benefit offered that means if the life assured outlives the policy term, there is no payout. Let's see the below two sample premium rates for men and women buying a standard term insurance. Let's say, a 30 years old non-smoker opts for a term plan with a sum assured of Rs.50 lakh with a maturity age up to 65 years. The sum assured and the premium amount stays fixed throughout the policy period. The payouts are as opted by the policyholder. In the Term Return of Premium (TROP), if the life assured survives till the end of the policy term, the insurance company pays back all the premiums paid. If you pay Rs.7,000 p.a. for 25 years for a cover of Rs.50 lakhs, and if you outlive the policy period, you would get an amount of Rs.1,75,000 (exclusive of applicable taxes). The premiums of TROP are usually higher than the standard term plans. This plan is similar to the standard term insurance plan with regards to premium payment, and policy term, except, under the Increasing Term Insurance cover with the increasing age, the life cover also increases. Increasing term plan helps in matching inflation and therefore has been structured accordingly. The coverage of this type of plan increases up to 1.5 to 2 times the original cover. You can lower your stress of remaining under-insured by purchasing this type of term plan. Your life cover increases at a pre-determined rate in this plan. Your sum assured (coverage) will increase over a number of years. In most of the increasing term plan, the sum assured will increase on every policy anniversary. The increment could be 5% or 10% on the base coverage. Let's say, a 30 years old non-smoker opts for an increasing term insurance plan with a sum assured of Rs.1 crore. Every year the coverage will increase by 5% on the base coverage, subject to the maximum increase in the coverage offered by the insurance company. In Life Stage Event Term Insurance Plan, on your significant life stage milestone, you can increase the coverage. If opted, your sum assured (coverage) and premium increases with each life's milestone, first marriage, first child, a second child, etc. In case, the life assured passes away during the policy period, the insurance company pays the effective sum assured to the nominee as per the payout opted by the policyholder. A convertible term plan allows you to convert your term insurance plan into a whole life insurance or an endowment plan. You can switch your term plan into a whole life plan at a later stage in your life. Charges may be applicable at the time of conversion from a term plan to an endowment or a whole life plan. A joint life term insurance covers you and your better half in a single policy. You and your spouse are covered against the risk of unexpected death in one single term insurance policy. As a married couple you can now cover yourself and your spouse under a joint life term plan. How does a Joint Term Insurance plan work? You pay a combined premium, and both the individuals are covered under a joint term plan. The term period is fixed at the time of buying a policy, and if during the policy period any of the partners die unexpectedly, the surviving partner being the nominee gets the life cover amount. A married couple purchases a joint term life plan with coverage of Rs.1 crore each for a policy term of 30 years. The husband is 30 years old, and his wife is 28 years old. In case of any unfortunate event, if the husband dies in the 5th year from the inception date of the policy issuance during the policy period, the surviving partner will receive the sum assured of Rs.1 crore as a lumpsum. But the policy will continue and the insurance company will pay a lump sum of Rs.1 crore on the death of the surviving partner during the policy term to the nominee and terminate the policy. In this way, the total payout will be Rs.2 crore. Note: The premium and payouts are indicative. These may vary from insurer to insurer. Who is covered? Both the partners are covered in a single policy. Needs two different term plans to cover both the partners. Life Coverage Depending on the annual income of the policyholder – sum assured can be same for both the partners or maximum 50% for the spouse. Both the partners are covered on the same terms. Sum assured may vary for each partner. Each spouse can select as per the needs and annual income. In case any of the partners dies during the policy term? Full payout of the sum assured, and the plan continues for the surviving spouse, depending on the planning scheme or the surviving partner who is no more insured, may need to buy another term plan. Full payout of sum assured and policy of that life assured terminates. The surviving partner stays covered under his term plan. What if both the partners die? Single payout of sum assured or respective sum assured to the legal heir(s) depending on plan. The double payout from both the term insurance policies to the legal heir(s). Suitability 1. It is suitable for middle age couples, as buying two different policies in middle age may have higher premiums which are not advisable. 2. It is also suitable for couples not having much age differences. 3. Preferably, for couples living the same lifestyle, as smoker or non-smoker, else the premium would be higher for both even when one of the partners doesn't smoke. 1. It is advisable to opt at a young age, as the premium will be lower. 2. It is also suitable for couples having a big age gap between them. Because then the overall premium paid will be far lower and will be as per the age and sum assured. 3. It is suitable if any of the partners is not a non-smoker, in which the premium and sum assured could differ. Who should buy? If any of the partners is a homemaker or have a low income, one should opt a joint term plan. If both the partners are working and are contributing to the family’s income should opt for two single term plans covering each individually. Group term plans are life coverage plans for employees of businesses, companies, or any large group of people associated together, which provides life cover to all the members of the group. Group term insurance plans are same as individual term plan, except they are meant and priced for a group as a whole, and the premium changes every year. As soon as an individual leaves the group, he/she will not be a part of a group term plan. Flexibility in choosing policy period, premium paying modes, premium frequency, etc. Tax Benefits on the premiums and payouts under Section 80C and 10(10D) of the Income Tax Act, 1961. How Does a Term Plan Work? How Does a Term Insurance Plan Work? A term insurance plan is the purest form of life insurance product. It offers high sum assured at a low premium. The life assured is covered against the risk of an unexpected death (natural or accidental death) during the policy period. In case the life assured passes away during the policy period, the insurance company pays the life cover amount (sum assured) to the nominee as mentioned in the policy document. The payout of the sum assured is based on the type of payout option selected at the time of purchase of the term plan. The payouts can be a lumpsum payout, lumpsum and monthly income payout, or monthly income payout as opted at time of buying. The sum assured is paid out as a one whole amount in 'lump sum' to the nominee of the policy. A percentage of the sum assured is paid in monthly instalments regularly from the first month of the occurrence of death. Payout – Rs. 1 lakh every month (Rs.12 lakh annually) for 83 months (approximately) as a death benefit. Like any other insurance, term insurance has its limitations for specific circumstances. Mentioned here are some common exclusions that a term insurance would not cover. This is one of the common exclusions that most of the insurers would not cover. The dependents would not get any compensation if the insured commits suicide, whether medically sane or insane, within one year of the policy issuance or revival. How Much Term Insurance Do You Need? As discussed above, you need to be sure about the sum assured to be able to determine the premium amount. We also discussed that it would be a challenging task for you to decide on a suitable coverage so many years in advance. More so, because of rising inflation. So, now, the question is, “How much term insurance do you need?” Here are some factors that you have to consider while deciding on your sum assured. Your existing income and expenditures determine the remaining balance and the amount that you can contribute towards premium payment from this balance. Consider the regular monthly expenses like utility bills, groceries, payment of medical insurance premium, expenses for the dependents in your family like children, spouse and parents. Also, take into account miscellaneous expenditures for entertainment and gifts, etc. However, remember that your expenses will not stay constant till the maturity of your term policy as a result of inflation. Add up all these monthly expenses to get a clear idea of the outstanding balance from your monthly income. Your monthly income does not only imply your primary source of income, i.e. salary from your profession or business profits. This is one of the major determining factor based on which you can decide on the premium amount that you would be able to contribute towards a term insurance policy every month. Consider your loan instalments (personal loan, home loan, car loan) and EMIs that you may have opted for. Your monthly assets and liabilities also include your disposable investments in fixed deposits, ULIPs, ELSS, capital market, gold, etc. These expenses too will not remain constant. With your annual monthly increment through the years, your investments will also probably increase. Leave scope for such investments. Along with future investments in assets and liabilities, every individual has different financial objectives for the future. These may be your child’s marriage or higher education or you might plan to pursue a higher education course to add to your present qualifications, retirement plans, etc. Your expenses throughout the years are bound to vary. Therefore, you need to review your sum assured and premium payable regularly and adjust them according to your goals and convenience. Human Life Value calculator is offered by leading insurance companies. It enables you to get an idea about your required sum assured of the term insurance policy. Based on the simple formula of time value for money, it generates the existing value of all the income that you are estimated to earn in future till you retire. You have to enter certain specific details about yourself on the online HLV calculator – your current age, present yearly income and expenses and estimated future rate of inflation, to offer you the sum assured that you should opt for. Another online tool that you can use to determine your sum assured for a term insurance plan is to calculate it through the Income Multiplier method. Here, you have to multiply your current income by a factor of your current age group to get the minimum and maximum sum assured, as per your income and age. If you belong to the age group of 20 years to 30 years, you have to multiply your existing income by a factor of 5 for minimum sum assured and by a factor of 10 for getting results for the maximum sum assured. Similarly, for the age group of 30 years to 40 years, the income has to be multiplied by a factor of 20, for the 40 years to 50 years age bracket, the minimum multiple is 15 and for the 50 years to 60 years, age bracket the minimum multiple is 10.
Who should Buy a Term Plan? If you have dependents – parents, spouse, etc. Anyone and everyone one who does want to see their loved ones struggle to maintain their standard of living after the loss of the earning family member must buy a Term Insurance Plan. It is most apt for people falling under the below mentioned profiles. So, you have already built up a big mountain of housing loan, car loan, business loan and a mortgaged property too. Little did you know how your beloved family would cope-up with these outstanding debts that you have left and gone forever? Imagine you are the sole earner of your beloved family and some unforeseen situation arises. How would the income be replaced due to loss of regular income? How would this gap be met? Therefore, compare term insurance quotes online for different insurers to get a better idea of the sum assured. This will help you in maintaining the current lifestyle of your family members in your absence. Riders are the additional optional features that enhance the base policy coverage. There are many riders that you can attach to your base term plan. Most companies also offer a few riders as an in-built feature of a term plan. Before buying a term insurance plan, one must see that rider is available as an in-built feature in the same or as an add-on to the policy. On paying a small amount of additional premium, you can opt for such riders. These riders are highly beneficial as they come with their own standalone coverage amount. For instance, if the life assured dies due to a road accident, under a standard term plan only the death benefit will be paid to the nominee. But, if there’s an Accidental Death Benefit Rider attached to the base term policy, the insurance company will pay the death benefit plus the rider benefit attached to the accidental death benefit rider. Make a conscious decision: There are different types of term insurance policies offered by different insurance companies in India. You need to have an in-depth knowledge of each of their features, benefits and policy terms and conditions, to be able to make an informed decision. Check on the term insurance premium calculator for the premium payable for the coverage and policy tenure of your preference. Compare the quotes minutely before choosing one. Inflation factor: The constantly rising prices, owing to inflation, have to be considered while deciding on a term insurance plan. As a result of increasing prices, the coverage that appears to be sufficient now may not be the same after the policy reaches its maturity. There are some insurance companies that offer the flexible option of increasing your cover annually by a fixed rate of 5% or 10% to keep up with inflation. However, in such term insurance plans, the premium offered is also comparatively higher than other fixed sum assured term insurance plans. It is crucial to compare term insurance plans, as all life insurance companies in the market offer different term life insurance plans. Moreover, each life insurance company offers a number of variants of term plans. And analyzing the right plan for oneself could be a task. But don't worry. Our tool has transformed such a daunting task into a cake walk. Online term insurance comparison tool removes all the guess work. Not only that, but it also guarantees you the best term insurance plan at an affordable premium! Premiums Against Size of Life Cover: Everyone wants to be covered sufficiently. Compare the premiums for the size of the life cover offered by the insurance company. This should be ideally large enough to cover all your debts as well as aid your loved ones to lead a comfortable lifestyle post your demise. Nevertheless, the premium too should be pocket-friendly for the cover you opt for! Features of the Term Plan: Always dig deep into the features and benefits offered by the insurance companies while you compare term insurance online. Watch out if the policy you wish to opt for offers flexibility to choose the tenure of your choice, the sum assured amount, inbuilt features like terminal/critical illnesses, accidental death benefit and the premium payment modes. Additional Rider Benefits: Riders are add-ons that enhance your basic term plan insurance. You can buy term insurance riders at an additional cost. Before buying a term insurance plan online, ensure to compare the riders offered by different insurers. Some of the important riders you may wish to add to your policy are critical illness rider, accidental death benefit cover etc. However, it is recommended to buy one only as per your requirement. Claim Settlement Ratio: Claim settlement ratio of the company replicates the proportion of the total claims settled against the total claims raised. Higher the claim settlement ratio, higher are the chances of your claim getting fulfilled by your term insurance company. It is very important to keep a keen watch on the claim settlement ratio to ensure that your claim gets settled when the need arises. Therefore, keep this important factor in mind while comparing term insurance plans. Term Insurance Company's Reliability: Before buying term insurance policy, ensure that the insurance company you wish to opt for is reliable and stable enough to develop trust among their customers. Basis the company’s reputation and the financial goodwill, you will get a clear picture of its business and the bankruptcy status. Therefore, before you buy term plan insurance online, do not forget to compare the term plan basis the insurance company’s stability. A Term Life Insurance Premium Calculator is a tech-abled tool especially customised to help you calculate your monthly/annual premium for your life insurance policy. It generates results regarding the premium amount that you should pay to get to your desired sum assured, as per your financial objectives. It automates the process of computing premium, making it hassle-free and seamless, thereby saving time. What’s more, computing e-premium minimises the scope for errors that may occur during manual calculations. Further, it also enables you to regulate the sum that you would like your nominee to receive in case of your absence. The term insurance premium calculator can also be customised according to your preference and convenience. It might become challenging for you to compare between the wide range of life insurance policies offered by the host of insurance companies in India. It requires you to thoroughly research on the available life insurance policies. You also need to undertake the time-consuming task of making the necessary calculations to find out the monthly premium amount to reach your financial goal at the end of the policy tenure. The term insurance premium calculator makes this process easier and seamless by enabling you to compare between the premium payable for all available life insurance policies. Thus, it not only saves you from the hassle of making calculations for every policy, it also enables you to view and compare the premium payable for all these policies at one glance. But, do you know, how to use the term insurance premium calculator? Age of the insured: Age is the most important deciding factor to derive your term insurance premium. At a younger age, you are less likely to fall prey to lifestyle diseases or death. Insurance company would thereby save money in the near future since the possibilities of making a claim are less. Personal habits: If you are addicted to alcohol, drugs or smoking habits, your insurance company will charge you a bomb for your premium. At times, there are changes of a policy denial too. People who aren’t addicted to these habits pay almost 30 to 70% premium lower than the ones addicted to it. Health record: You will enjoy a lower premium if you have not had a family history of cancer, Alzheimer’s etc. Tenure of the insurance policy: The term insurance premium calculator will be affected adversely if you buy a term plan that covers your retirement age as well as till you pay off all your liabilities. Coverage/sum assured: It is advisable to opt for a coverage as per your requirement. The higher the sum assured, higher would be the insurance premium. You get to compare features and rates of different term insurance plans for the best deals ever! Term insurance premium calculator has streamlined the process of calculating premium payment for life insurance policies. It has made calculations easy, error-free and hassle-free, while saving time. It also makes comparing between premiums for various life insurance policies available in a few clicks and at one glance. Not just that, it can also be customised to suit your convenience. Age of the insured: Age is the most essential parameter that determines your eligibility for life insurance policies, the premium you can avail and other important parameters. If you are of a young age, the chances of you being diagnosed with a disease or illness are comparatively lower. Therefore, the chances of you making a claim are limited. The scope of you being detected of a disease or chances of death increases with age. Hence, your eligibility for a life insurance and being granted a low premium payment will be higher when you are young. The premium amount increases with age. Lifestyle habits: Individuals with an excessive consumption of alcohol or who are into drugs or have a regular smoking habit will be offered a life insurance policy on a high premium. In certain situations, applicants may also be denied a life insurance policy. People who aren’t addicted to these habits pay as much as 30% to 70% lower premium than those who are not addicted to these. History of health: A record of personal history of critical illnesses and family history of diseases like cancer, Alzheimer’s etc., also increase the premium payment amount. This is because such critical illnesses increase the chances of making a claim, arising due to a medical emergency or demise of the policyholder. On the other hand, individuals with no personal or family history of critical illnesses will be able to avail a much lesser premium. Life insurers enlist the diseases that they consider as critical illnesses. The term insurance premium calculator takes this parameter into consideration while computing e-premium. Tenure of the insurance policy: The term insurance premium calculator will be affected adversely if you buy a term plan that covers you till or beyond your retirement age and till the time you pay off all your liabilities. While the minimum period for term insurance plans is usually 5 years, the fixed options offered are 15, 20, 25 or 30 or more years. Select the term wisely, so that it does not extend past your retirement age. Gender: According to research, women live longer. This not only improves their chances of being eligible for insurance policies, but they are also offered low premiums as compared to those offered to men. Estimated sum assured: Last but not the least, the sum assured and premium amount are directly proportional to each other. This implies that higher the sum assured, higher would be the insurance premium. The term insurance calculator will ask you to enter your personal details like your name, gender, date of birth, mobile number, marital status, annual income, smoking and chewing tobacco habits, your preferred cover amount and the age/period till which your policy should cover you etc. Once you enter these details the term insurance calculator will give you a plethora of term insurance plans offered by different insurers. Select the buy now button on the one you feel would give you the right coverage at the right price . You can now make the term insurance payment online using your debit card, credit card or your net-banking facility . Pocket-friendly: Experts say online term insurance plans are almost 40% cheaper than the offline plans. Now, who doesn’t want to save their hard-earned money? You skip all the intermediary charges like paper-cost, agent’s commission, processing fees etc. The insurance company therefore passes on their benefits to their customers. User-friendly: Don’t worry if you are a newbie to the internet. Coverfox.com has a user-friendly gateway to take you through the process of buying term insurance conveniently. Comparing term insurance with different insurers would help you make a right choice. Expert-knowledge: Any broker is licensed with the Insurance Governing Authority (IRDAI). They offer you the finest approach for all your needs related to insurance. Essential and top-notch services make them more reliable. Back-up of your policy documents: In case you buy a term insurance plan with Coverfox.com, you can login and view your purchased term insurance policy on your online account. Besides, you also receive a soft-copy on your email address that gets saved too! Reminders for renewal: Coverfox.com sends you timely renewal reminders to help you avoid from lapsing your policy. How Reliable are Online Term Insurance Premium Calculator Estimates? Digitalisation has simplified lives and it is no different for estimating premium amounts through the term insurance premium calculator. Online term insurance premium calculator has eliminated the hassle of lengthy premium calculations. These manual calculations were not only time-consuming, but also included human errors. Introducing the term insurance premium calculator has done away with human errors, while saving time and making the process streamlined and seamless. What’s more, it also saves you from the effort of researching on the varied term insurance policies offered by various insurers, calculating premiums, knowing the benefits and features of each one of them and then taking a final call. All that you need to do is feed the term insurance premium calculator with your details, desired sum assured and preferred policy term to enable it to generate the premium payable for an array of term policies. You can view all your options at one glance, reducing your effort on research and contributing to your convenience. After you have chosen a term insurance policy according to your financial objectives, you can buy it online. This online facility makes the term insurance premium calculator a cost-effective solution as it removes the role of brokers and other intermediaries. Mention your personal information like name, gender, date of birth, marital status, income, family structure, lifestyle habits and details, etc. Mention your preferred sum assured, type of premium payment – monthly, quarterly, bi-annually or annually, and period of life cover. The premium will then be generated. Purchase the term insurance policy through the available modes of payment - Debit Card and Net Banking. Edelweiss Tokio Life Totalsecure Plus Term Plan The term plan offers low-cost comprehensive coverage with 35 critical illness cover and a long-term life cover till 80 years of age. The plan offers flexibility in designing your coverage as per needs and has optional additional riders for enhanced protection. Aviva i life Total Term Plan The term plan gives you 4 plan options to choose your cover which suits the requirement of you and your family. The plan is packed with great features like inbuilt terminal illness benefit, accidental death benefit, maturity benefit, monthly income and many more. Canara HSBC OBC iselect term plan A pure protection plan that provides life insurance and terminal illness cover along with cover against accidental death/ disability, and the option to secure an income for your family even in your absence. It has 4 benefit payout options viz. Lump Sum, Lump Sum + Monthly Income, Monthly Income for a fixed term, Monthly Income till the end of your policy term. PNB Metlife Mera Term Plan This term plan can be customisable as per individual requirement which gives you the flexibility to choose from four pay-out options and also offers coverage for your spouse in the same policy. The plan has been designed to suit individual needs and offers enhanced protection for your family. Aegon life iterm plan This is an online term plan offering comprehensive insurance benefit for you and your family. The key features of the plan include low cost coverage, flexibility to increase life cover, pay-out on the diagnosis of terminal illness, additional covers for enhanced protection and many more. 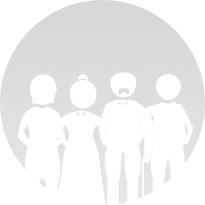 Coverfox.com is helping their customer's family at the time of claim, Coverfox.com now offers NOMINEE ASSISTANCE PROGRAM to their Term Insurance Customers. You and your family can now be rest assured about the full end-to-end assistance throughout the claims process, and also get financial, legal and psychological counselling. All this "FREE of Cost." We ensure that your loved ones are well-assisted with care in their hour of need. Remember: No Extra Cost. You or any of your family member are not charged for this service under Nominee Assistance Program. Losing your loved ones is devastating. It causes emotional distress and prolonged suffering. When someone is suffering through such an emotional grief, it is not easy to think of other things, for instance, financial stability or income flow, which may arise because of the unexpected death of the breadwinner. If the breadwinner has a term plan, it is important to know how to claim the death benefit of a term insurance plan. How to File a Term Insurance Claim in the Event of Death? Please Note: A claim will be formally accepted and registered only after the insurer receives a written request of claim settlement with a duly filled claim form and other relevant documents. One must lodge a term claim through a phone call or visiting the insurance company’s branch to quicken the claim process. The claim process starts when the nominee/claimant lodges a claim with a duly filled claim form along with all the valid and supportive claim documents. Any other relevant document as requested by the insurance company. Hospital Certificate and medical reports including admission and discharge summary of the life assured, death summary, test reports, etc. The Claims Assistance team of the insurance company will verify all the supportive documents and nominee declaration. The claimant/nominee may be asked to provide other additional documents if necessary. Once the insurance company verifies all the documents and accepts the claim, the pay-outs to the nominee will be made as per payment options mentioned in the term plan. The pay-outs to the beneficiary are usually through ECS, for which, the nominee must submit the bank details – cancelled cheque/photocopy of the bank account passbook (may require to get attested by bank authorities). In case, the nominee dies along with the life assured, the pay-out is made to the next legal heir. In case, the nominee dies before life assured, the policyholder needs to appoint another person as the nominee before the term plan expires. Please Note: Kindly read the "Exclusions" as mentioned in the policy wordings/document before filing a death claim as it will help you to file a death claim under a term plan without any difficulty. 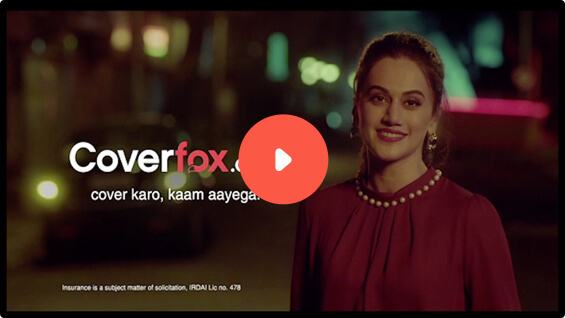 Coverfox and Taapsee Pannu team up to spread the message - “Cover Karo, Kaam Aayega” Watch her teach eve-teasers a lesson on both manners and insurance! Before buying a term insurance plan, it is crucial that you understand how it functions and what you need to do to make the most out of it. Here is a look at some of the frequently asked questions about term insurance plans and what they have to offer. Q. What is the right age to buy a term insurance plan? The premiums will be relatively lower. Now that's a win-win situation! Your liabilities are at a low, hence you might not require to insure a big sum, which will eventually result in lesser premiums. As health risks largely depend on the age, getting covered is easier and hassle-free. Who doesn't like that? Q. What are the things you need to know when you are investing in a term Insurance plan? Coverage: Be sure that the coverage being offered will be sufficient for your family or the nominated person. Never ever compromise on it for the sake of a lower premium. Claim Settlement Ratio: The insurer's claim settlement ratio and market reputation will ensure that your claims are honored when needed, so always keep that in mind. Inflation: Keeping inflation in mind, always consider how sufficient the coverage amount will be in the future. Add-on feature: Always supplement your term insurance plan with suitable riders for the most comprehensive coverage. Q. In an unfortunate event of your death, how can your nominee claim your term insurance plan? Every insurance company has a pre-set procedure defined for making a claim. Hence, following your death (and yeah, even though it sounds scary! ), your nominee has to intimate the insurance company of the same. All necessary documents including Claim Form, Death Certificate, original policy documents, hospital and medical records and bank account details of the nominee, etc. are to be submitted to the insurance company for further processing. Always prefer to communicate with the insurance company through written medium like an email to maintain a track of your conversation. You never know when it might come in handy (though we hope it doesn't). Q. What is term insurance with maturity benefit? Ideally, a term insurance plan with maturity benefit is different from a pure term plan. In a pure term insurance plan, if a policy holder survives the term, then he/she or even the nominee is not eligible to receive any benefit. However, a TROP (Term Return of Premium) plan does offer maturity benefits which are equal to a sum of premiums paid by the policyholder if he/she survives till the end of the term. Q. Do term insurance plans offer surrender value? Term insurance plans are considered to be the ideal and the best move for securing your family’s future. While many of them prefer buying a term plan just because of the convincing power of the friend or the friend's friend who’s an insurance agent. However, at times, they end up buying a wrong plan not apt as per their requirement. This is when these people start wondering if the plan can be surrendered. In short, they wonder if they get any amount back in case they stop paying the premiums and plan of discontinuing the term insurance plan. -But, what exactly is surrender value? Surrender value is nothing but the amount that the insured receives if he plans on discontinuing the term insurance plan before the end of the policy tem. The insurer then calculates the amount to be the paid to the insured from the start of the policy period till the termination date of the policy. Certain charges too will be deducted by the insurer from the surrender value. -Does term plan offer surrender value? Well, not all term insurance plans offer surrender value. This is majorly applicable in case you opt for a term plan with the return of premium option (TROP). In some cases of pure term plan, if you decide to pay all the premiums under one single pay premium or limited premium payment option, you will be eligible for a surrender value. This means, any term insurance plan with a regular annual premium payment option doesn't offer the surrender value benefit. Q. How is the premium decided on term insurance? Needless to say, that the premium remains unchanged throughout the term of your policy. And the good news is you don't have to invest a massive amount for the premiums every year. The younger you buy a term plan, the cheaper it is. Q. How much Sum Assured / cover should I take in a term plan? Deciding your sum assured amount depends on various factors. It varies on the number of dependents you have, your investment needs, affordability, the lifestyle you wish to provide to your family, and your children’s education. Try to analyze your needs by adding survivors living expenses. Subtract it with the saleable investments that are already available. The difference that you arrive at is the required sum assured that you must take. Q. What will I get on maturity under Term insurance? You will not receive anything as there is no maturity under Term insurance. The only benefit you gain is the death benefit. Your loved ones can gain the sum assured if you pass away. Q. What should be the tenure of my plan? This needs to be done very calculatedly. If you feel you need to choose a policy with a tenure up to the age of 70 and 75 years, think about it! Will you really need it? You may fulfilled all your financial goals by then. The tenure of plans differ from insurer to another based on several factors. Most plans have you covered till the age of 60 years and that is an ideal tenure. Read your policy document carefully and be smart enough to understand the value of your policy and how it will benefit your family in case of death. Q. How much life cover should I buy in a Term plan? There is a common formula to understanding how much life cover you should buy in a term plan. Based on this formula, you can calculate your required life cover. Q. Can I change the duration of life cover after the policy is issued to me? The duration of life cover cannot be changed once the policy is issued. Q. Will my premium amount change during the tenure of the policy? Once the policy is issued to you, the premium amount stays the same throughout the entire tenure of the policy. Q. Why is premium amount for smoker higher than that of a non-smoker? Smoking has a tremendous effect on term insurance. It is believed that your expenses go beyond that of a pack of cigarettes. It goes on adding up in the form of medical expenses as well as insurance premiums. While applying for a term insurance policy, you will be inquired about the use of tobacco products in the last 12 months. As a smoker, your risk pool will be different. Though the premiums may be considered higher for smokers, the premiums are available at reasonable prices. Q. I am an occasional smoker. Do I need to still declare myself as a tobacco user? You may be an occasional smoker but if you have smoked in the last 12 months, then you must declare yourself as a tobacco user. If information is withheld and later revealed to the insurer, there are chances that they may charge you with an insurance charge. Your policy may be considered as null and void. Your insurer may also deny you of the policy benefits. Q. How do you decide whether I am a smoker or non-smoker at the time of purchasing insurance online term plan? If you have been smoking in the last few months, be it frequently or occasionally, then you can be classified as a smoker. Also, with the help of a few medical tests, you can detected as a smoker. Cross check the definitions of smoker and non-smoker with your insurance company. Q. What if I become NRI after purchasing term plan? Your plan will continue even after you become an NRI. Note that your term insurance won’t be valid for the first two years, if your status change is not intimated to your insurer. You need to update your KYC status as Non-Residential in all your existing policies. If you fail to do that, you won’t be able to renew your policy that you had once purchased when you were a resident. Claims will be settled in the account from where the premiums were being received. They can be denominated in both Indian and foreign currency. Q. Do you cover terrorist attack under Term Plan? Yes, death due to terrorist attack is also covered under the plan. This may depend upon your insurer. If you are the policy holder, death benefit can be claimed by your nominees/legal heir. Q. Why should I buy an Accidental Death Benefit cover if accidental deaths are already covered under base plan? No doubt accidental deaths are covered under base plans, but having an additional accidental death benefit cover serves as a great benefit. In case of an accident, an additional amount will be paid to you by your insurer along with the base life cover during the term of the policy. Q. What if I want to surrender my policy during the policy tenure? If you wish to surrender your policy during the policy tenure, you remain at a loss! Remember that this is a term insurance plan. You won’t gain any benefits if you surrender your policy. Q. Can I insure my spouse/ children instead of me? If you want to buy a term plan for yourself, you can do that on your own name. If you wish to cover your family members, you will have to buy individual term policies for them. Q. Can I switch my term plan from one company to another if I get better benefits in other term plans? No it is not possible to switch your term plan from one term insurance company to another. This is not applicable even if you are assured better benefits in another plan. Q. How much time does it take for a claim settlement? Your loved ones can stay hassle-free when it comes to claim settlement. The procedures vary from one insurer to another. The claim settlement can take anywhere from 8 – 15 days depending on the prevailing conditions of your medical claim. Q. What will happen if death occurs within one year of purchasing the policy? Will the claim be settled still? Usually, once the policy is issued, even if death occurs within one year of purchasing the policy, the claim will still be settled. Once again, this depends on the terms and conditions of the insurance company. You will have to carefully note it in the policy document and clarify it with the insurer. Q. What will happen if my claim gets rejected and my nominee wishes to re-apply for same? Sometimes, it occurs that your claim a get rejected due to certain discrepancies in the policy document or due to any other specific reason. In such case, your nominee can re-apply for the same. The nominee can approach the grievance redressal cell of the insurer. If he/she does not get a valid response, then the IRDAI can be approached to resolve the claim. Q. What is the procedure to reduce the life cover if I do not accept the counter offer? In such a situation you have three options: You can either accept the cover as it is with extra premium, or you can reduce the term of your plan, or you can reduce the cover. Q. Should I split my desired life cover under multiple policies? Sometimes, you may have different needs. But, if you are planning to purchase different covers falling under various durations, you might as well buy multiple policies. However, it is always advised to avoid splitting your policy if you wish to have the desired life cover. Q. What will be the impact on the premium amount if my medicals show adverse results? There are numerous underwriting factors that play a vital role in determining increase in premium. Some of them are aspects such as severity of health condition, changing family history, chosen term and life cover have an impact on your premium. Q. What mandatory documents are required to buy Online Term Plan? A list of documents are required to purchase term insurance online. They are listed below. Q. What is endowment plan and should I buy it? An endowment plan is a combination of insurance and investment. Any life insurance plan that has a saving component along with a lump sum benefit is called as an endowment plan. If you pass away during the term of your policy, your nominee will receive the benefits of the sum assured amount and guaranteed returns. However, since the biggest advantage of an endowment plan is that if you survive throughout the term of your policy, then at maturity you will be paid the sum assured along with the other benefits in the form of bonus. It is totally recommended to people. Just make sure you read the fine print before purchasing a policy. Q. Why is term insurance better than any other life insurance policy? Term insurance is a “no frill” type of a life insurance that provides coverage only for a particular ‘term’ or for defined number of years. These terms can be for 10, 20 or 30 years. It is a “pure” life insurance simply because, you actually pay for the value of the death benefit for your family members in the form of either monthly or yearly premiums. Term insurance is actually designed to safeguard you from uncertainties. Offers riders at an additional cost to enhance your term plan such as waiver of premium, accidental death etc. Q. Can one change his/her nominee - say include spouse after marriage? Yes. When you buy a term insurance plan before the marriage, usually, either of the parents is the nominee, which you can change or include an additional nominee. So, yes you can change the nominee. You have the option to change the nominee as your spouse after marriage or in case, or if the nominee passes away before the life assured. In both the cases, one can request to the insurance company to assist you to do changes. Although, the documents are not required. However, some insurance company may ask to support the change with the ID proof, as it will help the insurance company and the nominee at the time of claims. Q. Should you split cover in two companies? Splitting term insurance cover is a highly debatable and subjective topic. Some experts say you should split the cover to diversify your risk while others say you should go for a single policy, as that is more cost effective. Flexibility to plan: You can be flexible on how much cover you need in each of the policy. For example - You can split the cover in half or in different ratios. Depending on the plan and requirements, you will have the flexibility to plan your policies. Freedom to exit from one policy: Our need for insurance cover changes as per the different stages of life. It is highest during the early stages of our family life when we have dependents to take care of. The risk gradually decreases once we have managed to gather enough assets to protect us from unforeseen circumstances. If you are passing from a stage where you feel your risk has been reduced, then you can always exit one of the policies and save money on the future premiums. Benefits of two policies: Today, due to cutthroat competition in the market, insurance companies are getting innovative with the coverage on their policies. Having two policies from two different companies , means you can enjoy more benefits than what you would have got with just one policy. Different maturities Instead of buying one single policy for 30 years, you could buy one for 30 years and another for say 15 or 20 years. This way you can work out the premium payable fitting in your disposable income bracket. Multiple nominees for a different sum assured: Many times people want to select different ratio of the sum assured for different nominees. Having two term insurance policies can help you solve this issue. More documentation: If you have policies from two companies, the document requirements might vary. The document process for you will get double and might be a hassle to manage it. Medical Test: You will need to undergo two different medical tests separately with each of the insurer. This can be time consuming and cumbersome. Premium payment: Two policies mean two separate premium payments to manage. Although should not be a very difficult task to manage, but it increases your pain of managing more than one premium. Filling claims: If an unfortunate incident does happen then the claim process will also double. With two policies your nominee will have to approach two different companies with their specific documentation requirements. The follow up process will also double with your nominee having to contact and follow up with two separate companies for claim. Delay in full sum assured: You can have a case where one company releases the claim amount and another company does not. The sum assured from one company might not be enough for your nominee and the delay from other company might lead to problems. This case could have been avoided if you have a single policy in place. Expensive Premiums: The premium payables on compound sum with two policies work out costlier than what would otherwise pay with one single policy. Miss out on discounts: Insurers provide a discount on the higher sum assured. With splitting the sum assured in two separate policies, the sum assured would be less in each policy. This way you will miss out on attractive discounts that insurers provide on the higher sum assured. Like two sides of a coin, there are pros and cons of splitting the cover in two policies. Splitting the policies does increase the cost of the overall insurance cover. For example – Two term plan of Rs.50 lakh each will work out more expensive than Rs. 1 crore term plan from a single company. So, make sure you have logical reasons to split your term insurance. What is the best insurer to opt for? There are two factors you must take into consideration while picking an insurance company – Affordable pricing and reputation in the market. While pricing is apparent, reputation depends on brand image, claim settlement ratios and quality of service a company provides. If you don’t have any preferences, we can help you pick one. Q. Who ranks best on Claims Settlement Ratio? Claim Settlement Ratio (CSR) of a company can be affected by various reasons. The number of claims received by the insurer also includes fraudulent claims and misrepresentations. These type of claims are included in unsettled claims which reduces the claim settlement ratio of the insurer. Thus, it is not advisable to shortlist a company solely on the basis of CSR. Also, under section 45 of the Insurance Act, 1938, an insurer cannot deny a claim made after 3 years of issuing a life insurance policy. While buying a Term Insurance it is of high importance that you reveal your correct information to the insurer as that helps the Insurance companies provide you with the most appropriate plans, & at the same time ensures a hassle-free claims process. Q. Isn’t LIC better than the Private Brands? All the Insurance companies in India are regulated by Insurance Regulatory and Development Authority (IRDA) Though LIC is one of the oldest brands, it is still just one of the 24 life insurance companies registered in the country! Other companies like Aegon Life Insurance, Bharti AXA Life Insurance, Bajaj Allianz and many more offer insurance plans which are trustworthy and are easy on the pocket too. Private firms often have better customer service in place. For example: If we consider the cost of a term insurance policy for a 30 year old male who does not smoke. If this person is looking for a 1 crore cover up to the maturity age of 60 years. Q. How can I be sure that my family will not face problems while making a claim? According to section 45 of the Insurance Act, 1938, an insurer cannot reject any life insurance claim after 3 years of issuing the policy. This ensures that your family is financially protected in case of your death. Having said that, it is important that you keep your side of the promise. While buying a policy, you are expected to fill the proposal form with correct information, to avoid rejection. Through a medical exam the insurer ensures that your health status is accurately recorded. This reduces the chance of a claim getting rejected to a great extent. In case you are not sure about how to declare a certain piece of information to your insurer, you can get expert advice from Coverfox.com. Q. Why is Term Insurance important? Term insurance is a death benefit product. Yes, we get that ‘death’ and ‘benefit’ don’t look nice so close to each other. What it means is that in case of an untimely death, a term plan ensures that the insured person’s dependents get some financial security to recover from sudden loss of income. Other than acting as a financial safety net for your family, term insurance has advantages for you as well. These include tax benefits and much lower premiums as compared to other Life Insurance products. Q. Are riders important? Which one should I opt for? Riders are add-on covers through which you can customize your policy for certain situations like death by accident, critical illness, permanent disability etc. These riders provide added benefits to you term plan. For example: Accidental Death Benefit rider gives double cover in case of accidental death at just approximately 20% higher premium. The choice of riders will depend upon your way of living, requirements as well as financial stability. If you are not sure whether you need one, we can help you find the best fit. For example: Accidental Death Benefit rider gives double cover in case of accidental death at just approximately 20% higher premium. The choice of riders will depend upon your way of living, requirements as well as financial stability. If you are not sure whether you need one, we can help you find the best fit. Q. Is natural death covered in term insurance? Yes, deaths are covered in term insurance, whether be it natural or caused due to illness or accident, on certain terms and conditions. Q. What does a term life insurance cover? Term life insurance offers death benefit, which is the lump sum payable to the policyholder’s beneficiary on the death of the policyholder during the policy term as a result of natural death or death due to illness or accident. Q. Which is the best term policy? Q. What is the average cost of term insurance? The average cost of term insurance policies varies among individuals based on various factors like current age, income, lifestyle habits (whether he/she is into excessive drinking, drugs or is a regular smoker), personal or family history of critical illnesses (cancer, Alzheimer’s, etc. ), gender, preferred policy tenure, etc. Q. Do you get your money back at the end of a term life insurance? The return of premium term life insurance policies enables the policyholder to receive his/her premium money back after the end of the policy tenure. Q. Does term insurance come under 80D? Term insurance policies are eligible for attracting tax benefits under Section 80C of the Income Tax Act, 1961. Tax benefits under Section 80D can be availed only for premiums paid for health insurance riders attached to the policy. Q. Is term insurance payout taxable? The amount of sum assured paid in the event of death of the policyholder are completely tax-free for the beneficiary according to Section 10(10D) of the Income Tax Act, 1961. Q. Are there chances that the premium of a term plan bought today might change in the future? Term Life Insurance policies offer the maximum death benefit at the lowest cost. The premiums under a term insurance are guaranteed to stay same throughout the term of the plan. Q. Is term insurance claim accepted in case of accidental death? Yes, term insurance can be claimed in the case of the accidental death of the policyholder. However, some exceptions are accidents caused as a result of the driver being under the influence of drugs or alcohol, or the accident was pre-planned or was caused by a driver without a valid driving license. Q. What are the exclusions of death that are not covered by term insurance? Q. Are NRIs allowed to buy term insurance? NRIs are eligible for purchasing term insurance policies in India, provided they meet certain terms and conditions related to their age, maximum and minimum eligibility for premium and sum assured, etc. Q. If I become NRI after purchasing term plan, what happens then? If you become an NRI after buying a term plan in India, you can still remain its owner on certain terms and conditions. Q. How do you know how much term insurance to buy? It may be a challenging task for you to estimate a suitable sum assured in advance. You need to take your decision based on some essential parameters like existing income and expenditures, current and future investments, and future financial objectives. There are some financial tools, like online Human Life Value (HLV) calculator and income multiplier, which you can utilise to get results regarding a suitable sum assured. Q. Enlist the type of deaths that are covered in term insurance? Natural deaths, accidental deaths and deaths caused due to illnesses are covered by term insurance policies on certain terms and conditions. Q. How much term insurance do you need? The amount of term insurance that one needs varies from one individual to another based on different parameters like unique needs, family lifestyle, and several other factors. Here are the primary factors that you need to consider while deciding on the sum assured for your term insurance. Current expenditures and liabilities: Your existing monthly expenses determine the amount that you would be able to keep aside from your income and contribute towards your term insurance. Calculate the amount that you would be able to save every month after individual and family expenses like groceries, utility bills, loan EMIs, children’s school fees, entertainment and other miscellaneous expenses, etc. This will give you a fair idea about the sum assured amount of your term insurance. Future expenses: Not only the existing expenditures, you also have to account for the future financial responsibilities like higher education and marriage of your children, retirement planning for spouse, etc. However, future expenses may change, and hence, you have to review your sum assured at regular intervals and revise the amount accordingly. Take the assistance of the Human Life Value calculator: Most insurers offer customers the convenience of online Human Life Value calculators to help you find out the sum assured that will be suitable for you. The HLV calculator generates results taking into consideration essential factors like estimated future income, current and future expenses, etc. The automated technology ensures seamlessness, eliminating chances of human errors that are commonplace during manual calculations. All you need to do is enter information like age, present annual income and expected future rate of return to get an estimate of the suitable sum assured for your term insurance. Income Multiplier Procedure: This is yet another effective process for calculating the term insurance cover that you should aim for, based on your age and income. Depending on the age bracket you belong to, your income has to be multiplied by a certain factor. For instance, for people belonging to the age bracket between 20 years to 30 years, your income has to be multiplied by a factor of 5, for those between 30 years to 40 years, the existing income has to be multiplied by a factor of 15, for people between 40 years to 50 years, your income has to be multiplied by a factor of 10, while for those between 50 years to 60 years, your income has to be multiplied by a factor of 5. On an average, the recommended sum assured that you should go for is 8 to 10 times that of your current annual income. Q. Which is better option, term insurance or whole life insurance? The type of life insurance that will be best suited for you depends on the investment objectives and various other factors, which varies between individuals. If you are in your 20s or 30s and are unmarried, a term insurance plan will be more suited for your requirements. Such life insurance plans offer insurance benefits on reasonable premium rates. Besides, there are also term insurance plans that are especially designed for offering protection and short-term benefits if you have health and medical concerns. However, if you are a married person with a child/children, your best option would be to opt for an investment instrument that is a combination of term insurance and whole life insurance and also select add-on riders, if you feel that they will increase the effectiveness of your life insurance plan. The term plan will ensure financial stability of your beneficiaries, in the unfortunate event of your death during the policy term. On the other hand, the whole life insurance will assure you of liquidity to tide over unexpected emergencies. For individuals in their 40s, whole life insurance plans will be a better choice. Apart from being more cost-effective than term insurance policies, they offer better life coverage for applicants of this age group. Further, they also prove to be a more effective option for assuring your family of financial stability, in case of your unexpected demise. Q. What does term insurance do? The sum assured on term insurance plans can be received solely by the beneficiary, only in case of the policyholder’s death during the policyholder. This ensures the family of financial stability even after the absence of the policyholder who is the bread winner. If the policyholder survives through the policy term, nothing is paid back. Q. What happens if I stop paying life insurance premiums? If you do not pay your life insurance premium on time the policy lapses, do not worry. It can be paid during the Grace Period which is usually 15 to 30 days from the premium date. In case, you do not pay the premium during the grace period, your policy will lapse. You can revive it within two years. For revival all balance premiums have to be paid. In case you cannot pay all the balance premiums at a time, you may enjoy special revival wherein the policy date gets changed. But this facility is offered by only a few insurance companies. Q. What happens when term life insurance expires? After your term life insurance policy expires, it cannot be revived anymore, i.e., you will not be eligible to avail the benefits mentioned in the term plan. Q. What is the best age to buy term life insurance? When you your 20s, the chances of you falling prey to illnesses is comparatively less because you are young. This makes insurers interpret you as a low-risk applicant, enabling you to be eligible for comparatively lower premium. During 30s, individuals earn higher but family expenses are also higher because chances are that you are married and also have children. Besides, you must have also taken loans like home loan, car loan, personal loan, etc. The scope for insurers offering a term insurance is greater for individuals in their 30s. In your 40s, there are added financial responsibilities as you have to support your child’s education, plan for their higher education and marriage and also make financial arrangements for your post-retirement years. Also, there are higher chances of you being diagnosed of illnesses, reducing your eligibility for a low premium payment. Hence, it is highly recommended that you purchase a term insurance in your 20s to make the most of such plans. Q. What is the maximum and minimum age for term life insurance? The minimum age limit for purchasing a term insurance policy is 18 years, while the maximum age limit is 65 years. This entry age criteria varies from insurer to insurer and term plan to term plan. Q. Why is it important to have a term insurance? Lower premiums, high sum assured: More affordable premium amounts for being eligible for a higher sum assured is one of the leading benefits of term insurance policies. The younger you are, the higher will be your eligibility for low premiums. Not just that, you will be able to avail lower premiums when you purchase a term plan online. There are term plans that assure policyholders of a cover of Rs. 1 crore on a monthly premium payment as small as Rs.600. Effective protection instrument: It is a pure life insurance cover, which means that there is no investment component. Such plans offer death benefits to the beneficiary on the policyholder’s demise during the policy tenure. The policyholder has to make regular premium payments for his/her beneficiary to avail this benefit, if and when the need arises. Tax Benefits: Policyholders of term insurance policies are eligible for tax benefits of up to Rs.1.5 lakh under Section 80C of the Income Tax Act, 1961. Nominees can also avail 100% tax exemptions on the death benefit amount under Section 10(10D) of the Income Tax Act, 1961, when the premium is not more than 10% of the sum assured during the policy term. These tax benefits are subject to change according to the change in regulations of the Income Tax Act, 1961. Add-on Riders: Add-on riders increase the effectiveness of term life insurance. They are designed to meet unique objectives and also financially prepare policyholders for uncertainties that may arise in the future. Some of the popular add-on riders are Waiver on Premium (WoP), critical illness rider and accidental death rider. Financial Benefits: Apart from the lump sum payment as death benefit, term insurance plans also offers the convenience of opting for a mix of lump sum and monthly payments. This serves the dual purpose of tiding over emergency situations as well as a steady source of monthly income. What’s more, there is also another option where the policyholder can opt for a lump sum along with an increasing monthly income. Q. Why term insurance claim is rejected? Non-disclosure of risky jobs related to working in the mine, army, firefighting, etc. Q. Do you need a death certificate to claim term insurance? Yes. The beneficiary of the deceased policyholder has to get in touch with the insurance company to make the death claim. It is mandatory for the beneficiary to submit a copy of the policyholder’s death certificate for the insurer to process the claim. Q. How do I choose term insurance? The amount of term insurance that one needs varies from one individual to another based on different parameters like unique needs, life stage objectives, and several other factors. Here are the primary factors that you need to consider while deciding on the sum assured for your term insurance. Calculate existing expenditures and liabilities: Your existing monthly expenses determine the amount that you would be able to keep aside from your income and contribute towards your term insurance. Calculate the amount that you would be able to save every month after individual and family expenses like groceries, utility bills, loans and EMIs, children’s school fees, entertainment and other miscellaneous expenses, etc. This will give you a fair idea about the annual cost affordable on your term insurance. Consider future expenses: Not only the existing expenditures, you also have to account for the future financial responsibilities like higher education and marriage of your children, retirement planning, etc. However, future expenses may change, and hence, you have to review your sum assured at regular intervals and revise the amount accordingly. Take the assistance of the Human Life Value calculator: Most insurers offer customers the convenience of online Human Life Value calculators to help you find out the sum assured that will be suitable for you. The HLV calculator generates results taking into consideration essential factors like estimated future income, current and future expenses, etc. The automated technology ensures seamlessness, eliminating chances of human errors that are common during manual calculations. All you need to do is enter information like age, expenses, present annual income and expected future rate of return to get an estimate of the suitable sum assured for your term insurance. Income Multiplier Procedure: This is yet another effective process for calculating the term insurance cover that you should aim for based on your age and income. Depending on the age bracket you belong to, your income has to be multiplied by a certain factor. For instance, for people belonging to the age bracket between 20 years to 30 years, your income has to be multiplied by a factor of 25, for those between 30 years to 40 years, the existing income has to be multiplied by a factor of 15, for people between 40 years to 50 years, your income has to be multiplied by a factor of 10, while for those between 50 years to 60 years, your income has to be multiplied by a factor of 5. On an average, the recommended sum assured that you should go for is 15 to 20 times that of your current annual income. Q. How much is a good amount for term insurance? The amount of term insurance that one needs varies from one individual to another based on different parameters like unique needs, investment objectives, and several other factors. Here are the primary factors that you need to consider while deciding on the sum assured for your term insurance. Current expenditures and liabilities: Your existing monthly expenses determine the amount that you would be able to keep aside from your income and contribute towards your term insurance. Calculate the amount that you would be able to save every month after individual and family expenses like groceries, utility bills, loans and EMIs, children’s school fees, entertainment and other miscellaneous expenses. This will give you a fair idea about the annual cost affordable on your term insurance. Future expenses: Not only the existing expenditures, you also have to account for the future financial responsibilities like higher education and marriage of your children, retirement planning, etc. However, future expenses may change, and hence, you have to review your sum assured at regular intervals and revise the amount accordingly. Take the assistance of the Human Life Value calculator: Most insurers offer customers the convenience of online Human Life Value calculators to help you find out the sum assured that will be suitable for you. The HLV calculator generates results taking into consideration essential factors like estimated future income, current and future expenses, etc. The automated technology ensures seamlessness, eliminating chances of human errors that are commonplace during manual calculations. All you need to do is enter information like your age, present annual income and expected future rate of return to get an estimate of the suitable sum assured for your term insurance. Q. What is the difference between endowment and term insurance? Purpose: Term insurance assures the beneficiary of the sum assured on the unforeseen death of the policyholder, ensuring financial stability of the family in his/her absence. An endowment plan, on the other hand, serves the dual purpose of being an insurance as well as an investment instrument. Benefit: While term insurance ensures financial protection to the beneficiary to tide over the sudden death of the policyholder, an endowment plan not only offers financial assistance, but also growth of the investment. Sum assured: The sum assured, as a part of death benefit, on term insurance is approximately 10 to 20 times of your annual income. In contrast, the maturity benefit on an endowment plan is comparatively lower. Maturity benefit: No maturity benefits are applicable on term insurance plans. It offers only death benefit. However, endowment plans offer death benefit, in the event of the policyholder’s sudden demise during the policy term, as well as maturity benefit that is paid after the completion of the policy term. Q. Which is better- term insurance or endowment plan? Affordability: Premiums on term insurance plans are most cost-effective than endowment plans. Q. Can you claim two life insurance policies? Yes, you can purchase more than one life insurance policies and claim them simultaneously, if need be. Investing in multiple life insurance policies give you the benefit of a higher coverage, enabling you to tide over emergencies for which one term insurance plan might not be sufficient. Q. What is rider benefit in term insurance? Additional benefits offered by insurers over and above the pre-determined sum assured on your term insurance plan are known as riders. These add-on benefits made available at nominal costs include features that are not covered in the basic term insurance plan. Insurers provide applicants the flexibility to choose from the rider benefits as per their unique requirements. Critical illness rider: This rider assures the policyholder of the entire pre-decided rider sum assured on him/her being diagnosed of diseases that are enlisted as critical illnesses. These illnesses include cancer (except skin cancer), stroke, heart attack, kidney failure, organ transplant, paralysis, etc. Disability rider: This rider ensures policyholders with a lump sum payment on disability – 50% of the sum assured on loss of hearing in both the ears, speech or one limb; and, 100% sum assured in the event of loss of both limbs or eye sight. Additionally, this rider also waives off the remaining premium payments, though the term policy remains active. Accidental Death (AD) rider: In the event of the unexpected demise of the policyholder due to an accident, the Accident Death rider makes the beneficiary eligible for the death benefit. The minimum amount that the beneficiary can avail is Rs.1,000,000, while the maximum can extend up to 30% of sum assured of the base plan. Waiver of Premium (WoP) rider: As the name suggests, this rider waives off the remaining premium payments in case of the policyholder’s disability or on being diagnosed with critical illnesses. Q. What is sum assured in term insurance? The sum assured on a term insurance plan is the amount of money that the beneficiary is eligible for on the policyholder’s demise during the policy term. The sum assured is also referred to as the cover that the beneficiary is assured of by the insurer. Q. What is terminal illness in term insurance? A terminal illness is an advanced or rapidly progressing incurable and un-correctable medical condition which in the opinion of two independent medical practitioners is highly likely to lead to death of the insured person within 6 months. The Medical Practitioners must be registered with Indian Medical Association and approved by the Insurer. Q. Do you get term insurance claim amount if you commit suicide? While suicide claims are fully excluded in the first year of the policy issuance, they might be payable from the second year onwards. No, only under Return of Premium Term life policies, all the premiums paid by you, excluding applicable taxes, are refunded on the completion of the policy term. Q. Does term insurance cover old age? Most often, a term insurance will cover an individual up to the age of 75 or 80 years. This varies from insurer to insurer. This depends upon your present age and the maximum age policy at which an insurer provides the policy. Q. Does term insurance cover accidental death? Yes, most often the term insurance pays when there is an accidental death. The amount assured or the amount of cover taken under this term plan pays the claim when the death has happened due to any reason. This reason could be natural / accidental / illness. Q. Does term insurance pay out if I don't die? Except for return of premium term plans, the premiums paid would not come back if you don't die. For other insurance plans, the maturity benefit is disbursed when you survive the insurance period. Q. Does term insurance cover funeral costs? No, in India, term insurance plans pays the sum assured ,either as a lump sum amount, or a part as lump sum and rest as monthly income. The nominee is free to utilize the claim proceeds as per his/her desire. Q. Does Term life insurance cover death from illness? Yes, a term insurance plan pays the claim amount even in cases of death due to illness. However, the illness should not be a pre-existing illness. Q.Does Term Life Insurance have cash value? No, term life insurance pays a death benefit to your beneficiary if you die within the policy's term. Otherwise, it does not have any cash value. Permanent life insurance i.e. whole life insurance, as its name implies, covers you for your entire life. A portion of the premiums for permanent life insurance goes towards building the cash account. Q. How do I choose the best term insurance plan? A: Consider your life stage and number of family members when deciding cover amount. B: Consider the amount your family will need to maintain their lifestyle. C: Amount of cover should be decided based on family's needs and not just your income. D: Add liabilities that you may have towards the cover amount. Q. How long after death do you have to collect term insurance? The death claim has to be initiated at the earliest possible timeframe. In case of delay in filing the claim, the insurer will take a longer time to investigate the case and settle the claim. Q. How long do term insurance policies last? Most term life insurance policies provide cover until the client reaches age of 60 – 80 years. Q. Is term insurance a good idea? Yes, a term insurance is definitely a good idea. Term insurance provides cover for only a particular time period or term. If you have someone who is financially dependent on you and you do not have enough money to cater to their future financial requirements, this situation can be a hassle, if you are not around. To counter this, a term life insurance is extremely important and worth it. Additionally, it is less expensive in comparison to a regular life insurance scheme. Q. Can a housewife get a term insurance? Yes, but for a housewife to get a term insurance, she needs to have some source of income. A housewife needs to be an earning member of the family. The term insurance cover is evaluated on the income requirement of the policyholder. The reason for this exclusion is that under a term insurance, the death benefit provides income replacement. Term insurance cannot provide income replacement for someone who does not earn an income in the first place. Under such a situation the joint life option is the best choice for a housewife who does not have an income source. Q. Can a term life insurance policy be converted to whole life? Yes, if you have paid all of your premium payments on time along with the existing terms and conditions, you can convert your term life insurance to a whole life one. Before doing so, it is advisable to check if you have an option to convert your existing term life insurance policy. Q. Can I claim multiple term insurance? Yes, you can hold multiple term insurance from various insurance providers. The best part about this is that your nominees or beneficiaries can rightfully claim the death benefits from all of those policies which you have purchased. In case you are not satisfied with the protection received from a single policy, you can purchase another policy to add on to the existing level of protection. Q. Can I get money from my term life insurance policy? No, term plans do not carry any cash value and expire once the term period is over without paying anything. Q.Can I have two term insurance policies at the same time? Yes, you can have more than one term insurance policy at the same time. Not only will this increase the existing protection, but if you have more than one nominee, you can buy the second policy for them. Q. Can I sell a term life insurance policy? No, term insurance is the least expensive form of life insurance with no option of generating returns on investment. Its purpose is solely for providing financial protection in your absence. Q. Can we claim term insurance from two companies? Yes, you can claim term insurance from two companies, provided you have disclosed complete details of the previous policy to the other insurer where you seek a second policy. This is beneficial in case one company rejects the settlement claim, you have a second option for making a claim settlement. Q. Can you cash in on a term life insurance policy? No, The payout in a term insurance is available only in case of your demise and the settlement claim has been approved. This death benefit comes either as a lump sum amount, or in installments, or as per your mentioned preference during the purchase of the policy. Q. Can you get term insurance at 18? Of course you can. The minimum entry age for a term life insurance is 18 years of age and the sooner you begin, the better it is as you can opt for a higher cover and tenure at lower prices. Q. Can you get term insurance for a child? No, the minimum entry age for a term life insurance is 18 years of age, provided you are an earning member of the family. A child is neither an earning member nor is s/he above 18. Q. Can you have multiple term insurance policies? Yes, you can have multiple term insurance policies. In fact, it is recommended that you have at least two term insurance policies in case one fails a claim settlement. Q. Can you surrender a term life insurance policy for cash value? No, term life insurance does not have a surrender value or cash value. Q. Can you take out a term insurance policy on someone without their knowledge? No, the only thing you can do is name a relative as a nominee or beneficiary without their knowledge. Q. How to easily buy a term insurance plan? Individuals have the option of purchasing term insurance plans either via the online or offline route. If one prefers to avail term insurance plans through the web, all that the applicant needs to do is visit the official website of the insurance company or a trusted insurance broker, fill out the necessary details in the online application form like personal details, health conditions, address, choose from the available policy options like the policy term and sum assured, agree for a medical check-up, if applicable and finally make the premium payment. Once these steps are taken care of, the insurance company will send across a soft copy of the term insurance plan which will be followed by a hard copy. In the offline route, the applicant would either have to visit one of the branch offices of the insurance company or wait until an agent is sent over to assist with buying a term insurance plan. It is generally recommended that users choose the online route to avail term insurance plans considering that the premiums offered for online plans are lower and there is more flexibility at the time of comparing policies and making the purchase. Q. What are the documents required to buy a term plan? Age Proof: PAN Card, Driving License, School or College Certificate, Passport or Birth Certificate. Identity Proof: PAN Card, Driving License, Aadhar Card, Voters ID Card, Letter from Recognised Public Authority or Public Servant with a picture verifying the identity or Passport. Address Proof: Telephone Bill, Bank A/C Statement, Letter from Recognised Public Authority, Ration Card or Electricity Bill. Income Proof: Salary Slip or I. T. Return / Assessment Order / Employer's Certificate. Once these documents are handed over, the insurer will go ahead with processing the individual’s application for a term insurance cover. Q. How to compare rates with the help of term insurance calculator? An online term insurance calculator can be a useful tool in helping one determine which would be the best-suited cover. To make use of a term insurance calculator, an individual would first have to input certain personal data, like age, gender, annual income and smoking habits. Following this, the applicant would have to enter the coverage amount and period for which he or she is seeking to be covered. On the basis of all the details entered, the online term insurance calculator will show policies that best fit the user's needs. Policies can be compared on the basis of features, benefits and costs. Q. Which term insurance plans provide coverage up to 100 years? Bajaj Allianz Life Secure, HDFC Click 2 Protect 3d Plus and Aegon Life iTerm are few of the term insurance plans that provide coverage up to the age of 100 years. PNB MetLife Mera Term Plan offers users coverage up to the age of 99 years. It must be noted that while the maximum age for which coverage is provided by the above term insurance plans is similar, their features, benefits and costs differ. So, one must make sure to first compare them and then select a plan that best fulfils all insurance needs. Q. What must be the duration of a term insurance cover? The duration of a term insurance plan should be determined mainly on the basis of when one thinks it is possible to achieve life’s major financial goals. If an individual can accomplish that in, say about 10 years, he or she can opt for a policy period of 10 years. Another factor that users need to keep in mind is the existing liabilities (in case there are any). If the individual has a home loan for 20 years, then it is recommended that the duration of the term insurance cover be at least 20 years. Q. Is it possible to cover your whole life with a term insurance plan? A few term insurance policies in the market offer coverage for the whole life of the policyholder. Bajaj Allianz Life Secure, HDFC Click 2 Protect 3d Plus and Aegon Life iTerm are few examples of such plans where coverage is provided up to the age of 100 years. PNB MetLife Mera Term Plan offers users coverage up to the age of 99 years. Q. What is Sum Assured? The Sum Assured is the amount of money which the insurance company has to pay in case something untoward happens to you. The payout can be in the form of a lump sum on death or maturity benefit. The Sum Assured is a guaranteed amount and is also known as life cover in common terms. Q. What is the concept of Sum Insured vs Sum Assured? Sum Insured is the compensation/coverage against any incident that leads to damage or death of the policyholder. This feature is applicable only to non-life insurance policies such as motor, health and home insurance. For example, if you purchase a health insurance with a sum insured of ₹1 lakh, the insurer will settle a claim up to ₹1 lakh only. In case the medical treatment costs more than the sum insured of one lakh, the policyholder will have to bear the additional cost from their own pocket. Sum Assured on the other hand is a pre-decided amount which the insurance company guarantees to pay the beneficiary/nominee in case something happens to the mentioned policyholder in the near future.